Craig Abla is a graduate of Oklahoma Baptist University. After graduation, Craig spent several rewarding years in the field of education. He became a CPA in 1993 and opened his own accounting firm in 2003. Craig's special areas of interest within the firm are: small business formation and consulting; physician and nursing home accounting, cost reporting, and taxation; and accounting issues unique to clergy and church reporting. He is a member of the AICPA, OSCPA and serves on the Board of the Oklahoma School for the Deaf Foundation for Excellence. He is a Board Member and current Treasurer of Missions Revival, Inc.
Craig thoroughly enjoys spending as much time as possible with his family. He and his wife Donna have six children and ten grandchildren. Robin K Jolly, CPA is a shareholder and full time managing member of Abla & Jolly CPA, PLLC. Robin is a graduate of the University of Oklahoma and subsequently passed the certified public accounting accreditation in the State of Oklahoma. She also holds a Series 65 investment license in the State of Oklahoma. 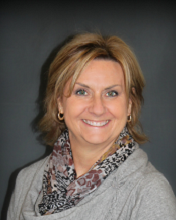 She began her practice in 1989 and has more than 28 years experience in public accounting. Robin is involved with all aspects of the firm's accounting but specializes in income tax preparation and planning, particularly agricultural issues involving horses and cattle, and small business . Robin is a member of the AICPA, OSCPA, AQHA and NCHA and serves as the current President of the Board of Directors for the Sulphur Chamber of Commerce. Robin is married to Steven and has three grown children: daughter ,Tiffani and husband Aaron; daughter, Jantzen and husband Shawn; son, McLane; and one granddaughter, Dylan Kate. In her spare time she enjoys riding cutting horses, running, sports, teaching Christian financial principles, and any activities with her kids. 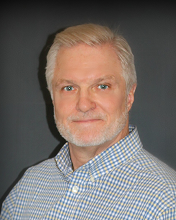 Ron Freeland, CPA has 30 years of experience in tax compliance and planning for individuals, corporations, partnerships, and trusts. He graduated Oklahoma State University with Bachelor’s and Master’s degrees in Accounting, concentrating in Taxation. Ron began his career at an international accounting firm in Oklahoma and later served as managing partner at a firm in Ponca City. Ron recently spent 3 years with the IRS’s Taxpayer Advocate Service division, advocating for taxpayers experiencing problems with IRS. Ron and his wife Gay moved to the Sulphur area in 2015. They have three adult children: Daniel, John, and Rachel, her husband Matt, and one grandson, Carson. 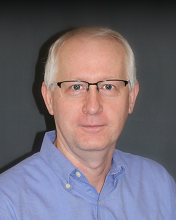 Ron is a member of the AICPA and OSCPA, and serves as an online instructor of tax classes for Southern New Hampshire University. Ron enjoys traveling with his wife, live music events, and fishing. Audra is employed part-time for Abla & Jolly CPA, PLLC handling, primarily, bookkeeping and payroll reporting for numerous clients. Audra got her start in the field of accounting in 2006 with her father, Craig Abla. Prior to the formation of Abla & Jolly CPA, PLLC, Audra served as office manager for her father’s (Craig Abla) accounting firm from 2006 – 2013. Audra and her husband, Bart, have one daughter, Hadley, who is one. Audra enjoys spending time with family, gardening, canning, and photography. 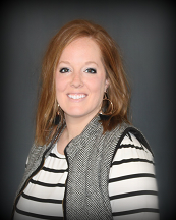 Whitney A Birdwell joined the Abla & Jolly CPA team on January 1, 2019 as an accounting solutions specialist. She is responsible for all aspects of accounting service including client write up, payroll and income tax preparation. Whitney graduated from Oklahoma State University with a degree in accounting in December 2012. She has experience in banking, private industry, retail and public accounting. Whitney grew up in the Sulphur area and is a graduate of Sulphur High School. 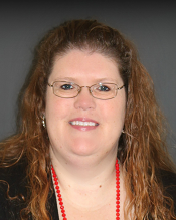 She is a member of Leadership Murray County and enjoys baking and spending time with Millie, her miniature dachshund. Crystal N. Patrom grew up in Central Illinois and moved to Arkansas as a young adult. Crystal and her family moved to Oklahoma in the fall of 2014. 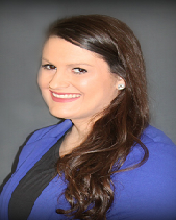 Crystal joined the Abla & Jolly team in January of 2015 as an Administrative Assistant. Crystal is responsible for client relations, scheduling and payroll. Crystal is married to Randy and they have one daughter: Ashlyn and one fur baby: Heidi. In her spare time she enjoys spending time with her family, being outdoors, and volunteering at her church. 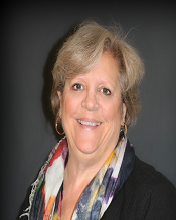 Nancy Elmore joined Abla & Jolly CPA, PLLC in July 2015 in a bookkeeping capacity. She performs a variety of duties, including account receivables and payables, preparing financial statements and tax returns, processing payroll and payroll taxes, and data entry. Nancy and her husband Kirk have lived in Wynnewood since 1991. They have three grown children: daughter, Angela and husband Russell, son Christopher and wife Tiffany, and son Cameron and wife Haylie. They also have four grandchildren, Audrey, Madison, Jace, and Lincoln. In her spare time, she enjoys reading, spending time with her family, and spoiling her grandkids.